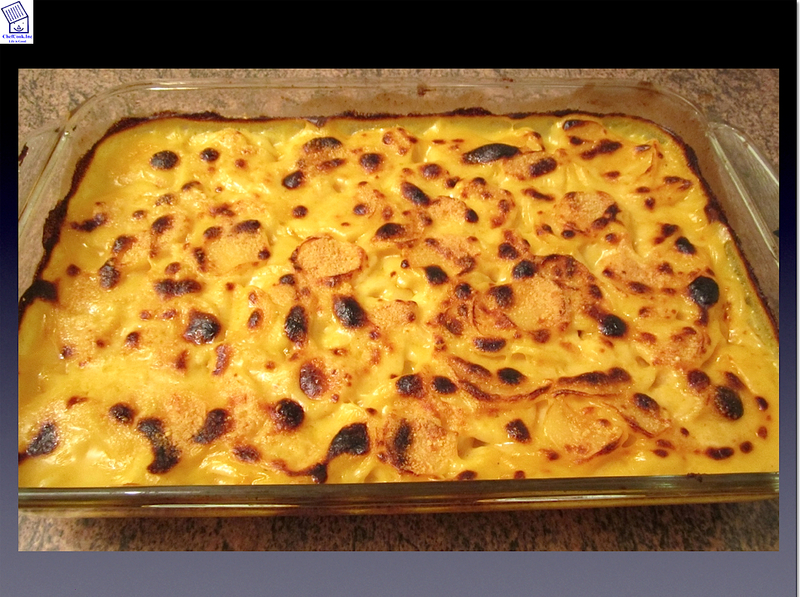 ” Saure Kutteln “ (Sour Tripe) with potato gratin. I grew up eating this dish often, it used to be a popular dish in southern Germany. Blanch the tripe, starting with cold, vinegared, salted water, twice. The third time, simmer until tender. Don’t overcook ! In my opinion, the tripe should still have a bit of a bite to it. Strain, rinse. Saute the onion, garlic and caraway seed’s until fragrant. Deglace with rum, add demi glace, tomato sauce, vinegar, let simmer for 5 minutes. 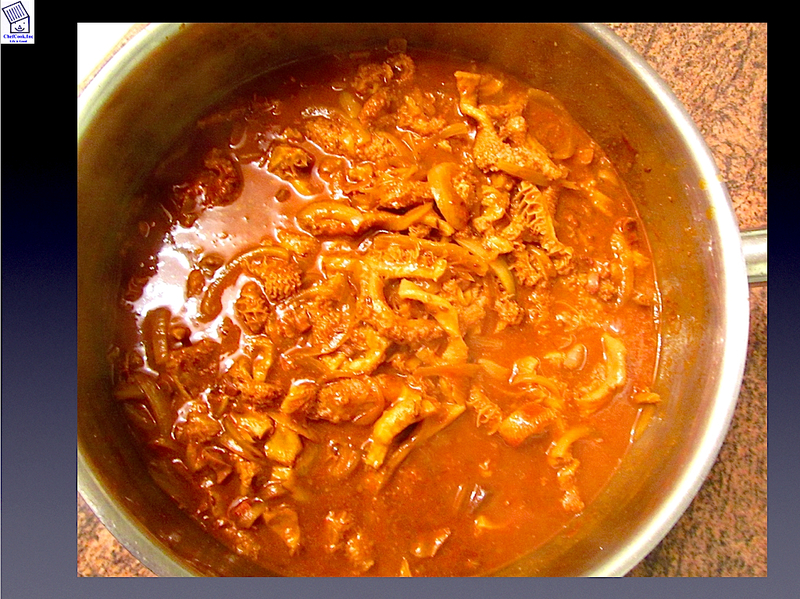 Add tripe and simmer for another 10 minutes. Season with salt and pepper to taste. Serve with pasta, potatoes or a rustic bread. It all sounds delicious, but the tripe. In the culture here there is a popular soup called menudo. It also has tripe. I can not eat this. I prefer the pork version called pasole. Could you sub pork in this dish as well? 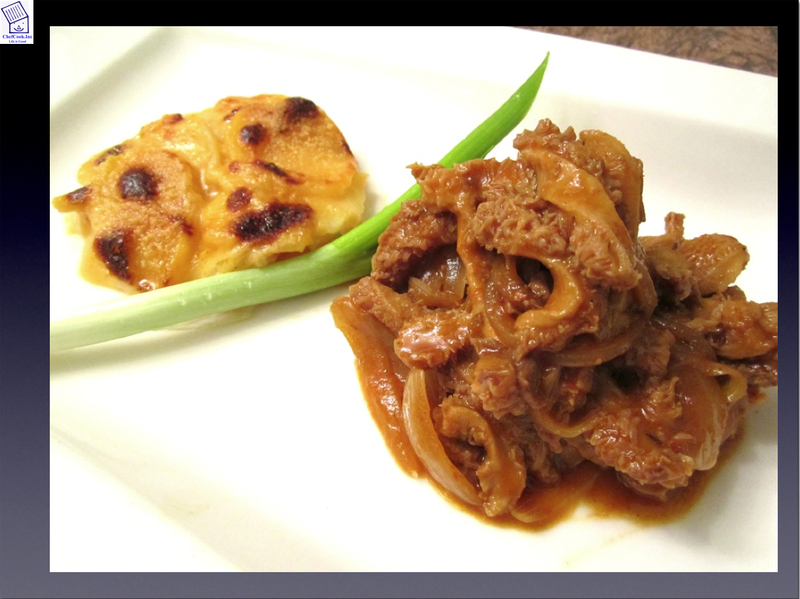 Unfortunately, anything to do with ‘offal’ turns most Americans off trying some marvelous dishes. If you let them know ahead of time what it is they’ll be eating they will make a run for it. I once tried to explain the recipe for a traditional Scots Haggis to a cooking class of 15 people. By the time I gave them the fourth ingredient, the room was empty. I am quite partial to tripes and onions, as the Brits prepare it with the milk and plenty of pepper. I also like the occasional plate of fresh Calf’s Liver, sauteed with chopped bacon and onions. Calf’s Brains? Yes, I tried some, but the conotation vibes were a major distraction. I wouldn’t order it again, I just didn’t get what others did with the dish. American’s have always been suspicious of European cuisines. They think European’s will grab anything that hops, scurries, or slithers and toss it onto the dinner table. This is a bit unfair, especially when you consider just what is hanging up or pickle jarred in Asian markets. Walk into any European food market and you will see a duplication of all American stores. The brands may be different, but the very same products are there. (Incidentally Chef Hans; the very best Sauerbraten I have ever eaten was prepared by Executive Chef Ruedi Elsener at the Red Lion restaurant, Boulder, Colorado. The Red Lion is a Bavarian gem owned by the Mueller family. You would love the place). Pozole is a whole different baby, made with hominy. it sounds good, can I translate it for my http://latriperie.blogspot.com with a link to your site?